A lot of us confuse the term Internet from the World Wide Web. We say we’re browsing the internet when we really meant was the web. Though they can be interchangeably used, they are not synonymous. We can say the internet is the hardware that comprises of networks connected through either copper wires or fiber optic cables prepared by a certified fiber optic technician. The www, on the other hand, is the software that comprises of webpages connected through URLs. Still confused? Below are a few basic terminologies to clarify and set the record straight. This is an application program that serves as the tool to view and interact with all the information found on the World Wide Web a.k.a www. This terminology appears to have stemmed from the idea of Web for user interfaces you access to “browse” and go through with the information you see online. A webpage is a document that carries the said information (refer to number 1) for browsers. The browser displays the webpage on the monitor. The webpage is usually written in HTML (Hypertext Markup Language) that can be accessed when there’s internet. A web page is accessed by typing in the URL address. This article you’re reading now is on a webpage. The URL (Uniform Resource Locator)—by the name itself—is the address of the webpage you wish to access. It’s the means to locate an information on the web. The URL has the name of the protocol to be used to access the information. The first section of the URL identifies what protocol to use. The second section identifies the IP address or domain name where the information is located. 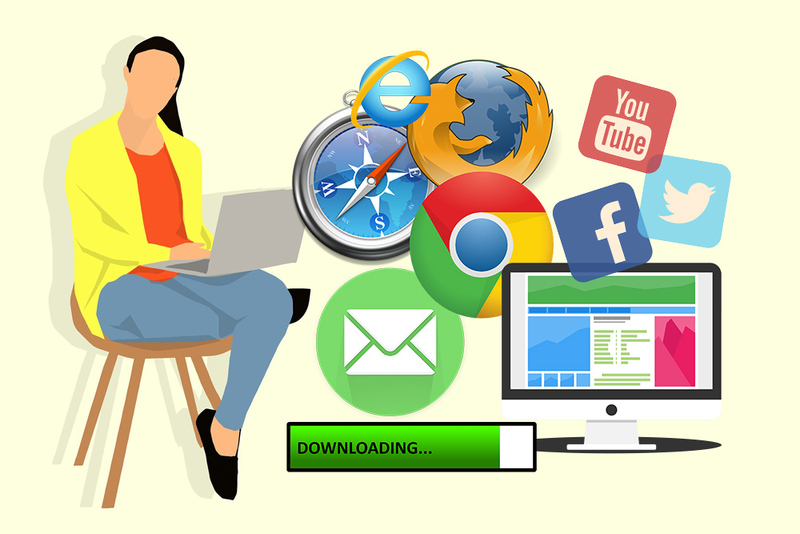 Downloading is the term used to tell that you’re transferring a file you find on the World Wide Web to your computer or device. A Web user commonly downloads songs, videos, PDF files and such. The larger the file, the longer it takes to fully transfer or “download” the file to your device. HTTP or Hypertext Transfer Protocol is the set of guidelines for transferring files such as texts, videos, sounds, images, and other multimedia files through the World Wide Web. The moment a Web user opens the Web browser, the user is indirectly making use of HTTP. HTTPS, on the other hand, stands “Hypertext Transfer Protocol Secure” which means the webpage has a special layer of encryption added to hide your personal details and passwords. Hence, if you wish to secure your bank account details at an online shopping site, look for “https” in the URL. HTML is a computer language used to create a website. The website can be accessed and viewed by anybody who is connected to the internet. It is relatively easy to learn. The basics can be learned in one sitting. The E in Email stands for Electronic, in other words, we’re talking about electronic email. It’s an exchange of computer-stored messages from one sender to another. Some spell it email as it has gradually spread to acceptance that it made an exception to the rule. Even Google can be used as a verb now. It’s common nowadays to hear someone say, “Can you google his profile?”, which means, if you can search his profile. As you know, English is evolving. Social media are those online communication channels that are community-based designed for sharing information, ideas, interests, and many forms of expressions through your group of friends or networks you allowed to be in your contacts. An ISP or Internet Service Provider is a company that provides individuals or companies and corporations access to the Internet. They also extend other related services such as building a Website or virtual hosting. An ISP has the required equipment and the needed telecommunication line access to put up internet connectivity live and running.